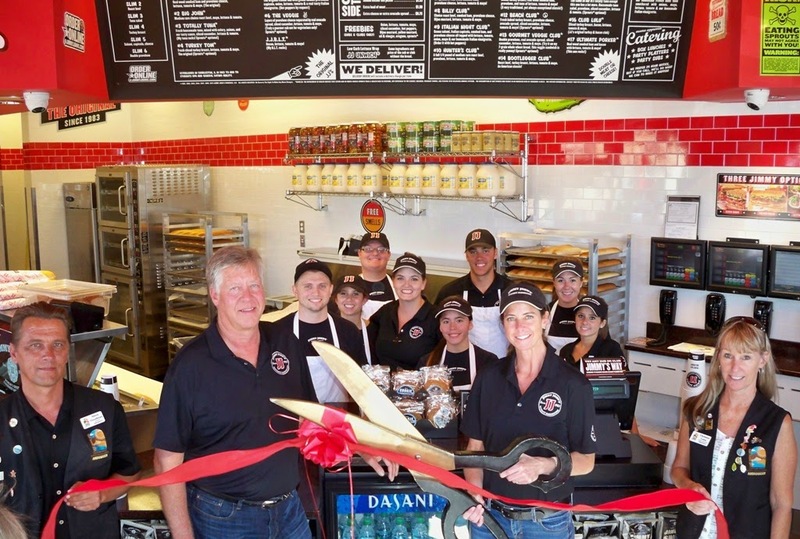 The Lake Havasu Area Chamber Ambassadors held a ribbon cutting ceremony for Jimmy John’s Gourmet Sandwiches celebrating its grand opening. Attending the ribbon cutting from left to right were Steve Goodman, Paul Wofford, David McDonough, Alex Springberg, Jerrad Gampp, Shannon Call, Marina Montiel, Nick Pappas, Ali Wofford, Anna Templin, Rachel Millard, and Christine Lowe. Jimmy John’s strives to provide the freshest ingredients and fastest service with sandwiches made with fresh baked bread, freshly cut, all natural meats and vegetables sliced daily at each restaurant. Jimmy John’s is now open Monday through Saturday from 11:00 a.m. to 10:00 p.m. For more information visit them at 34 N Lake Havasu Ave.